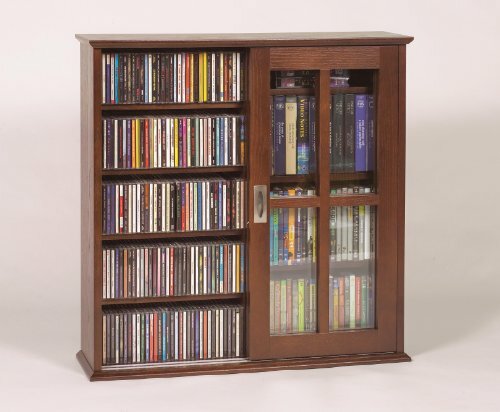 Mission Style Multimedia Storage Cabinet with Sliding Glass Doors can Hold up to 1050 CD's or 504 DVD'S. Solid Oak Veneer with Brushed metal door pulls and Tempered Glass. 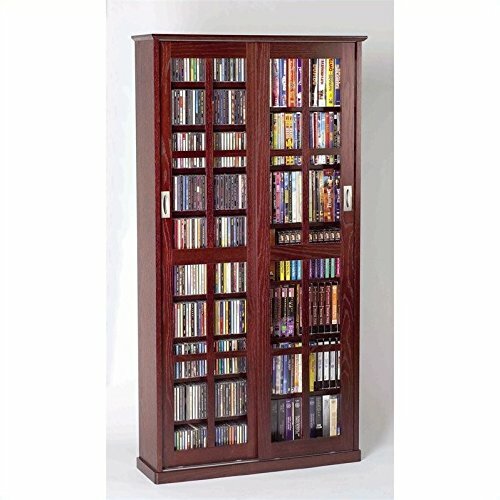 This Solid Hardwood Mission Style Multimedia Storage Cabinet holds 612 CDs or 298 DVDs. Includes 15 Adjustable Shelves made with Handcrafted Quality. Also Features Dovetail Joints for the doors. 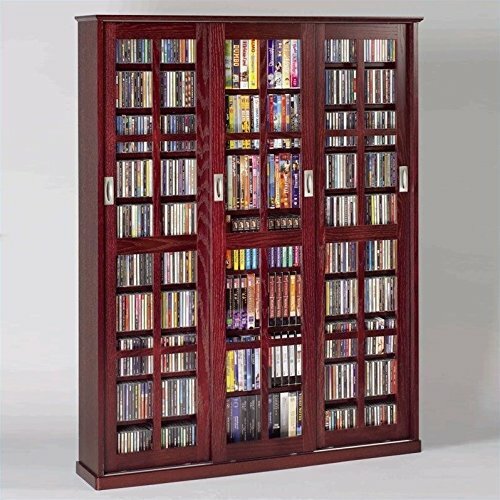 Mission Multimedia DVD, CD Storage Cabinet with Sliding Glass Doors. Made of Solid Wood Veneer. 18 Fully Adjustable Shelves that Holds up to 700 CDs or 336 DVDs in any combination. Special features include Brushed Metal Door Pulls and Tempered Glass. 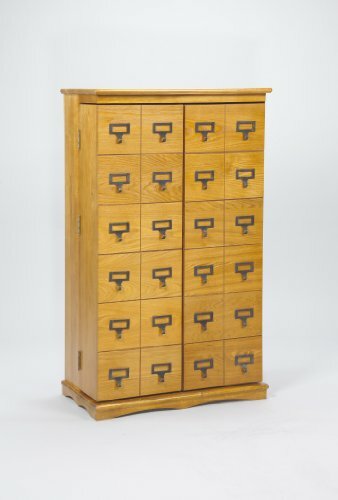 Solid Hardwood Mission Style Multimedia Storage Cabinet, with Library Card Catalog Style Doors. Holds 612 CDs or 298 DVDs. Includes 15 Adjustable Shelves made with Handcrafted Quality. Also Features Dovetail Joints on the doors. 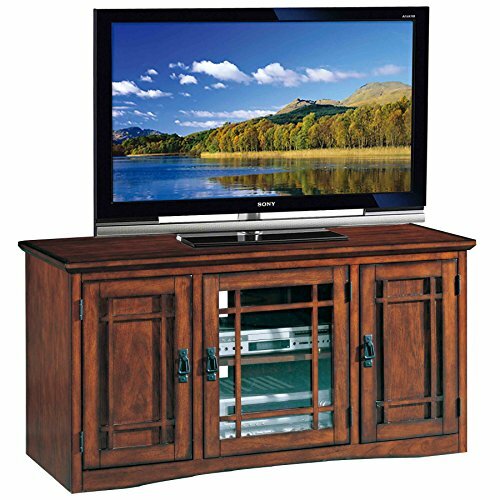 This 50" Mission TV Stand holds popular TV sizes up to 52". 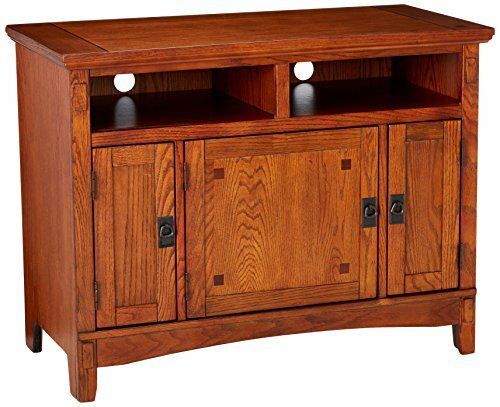 The quality of construction using solid hardwoods with oak veneers and a hand applied multi-step medium oak finish is what you would expect to find in more expensive TV stands. The intricate mission stick design with blackened hardware lends authenticity and interest to your living space. 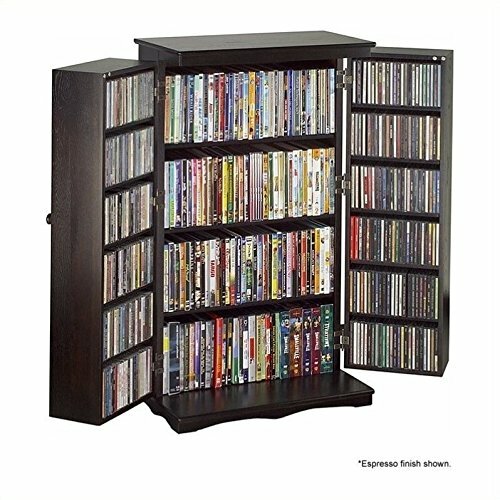 A compact design with plenty of storage and versatility with one adjustable shelf behind tempered glass doors for electronics and one adjustable shelf on each side behind doors for storing your DVD/CD collection. Simple unfolding assembly takes minutes. You expand the hinged cabinets, install the bottom panels, insert the back panels, and fasten the cabinet top. Then you just install the shelves and attach the door pulls, and you're done! 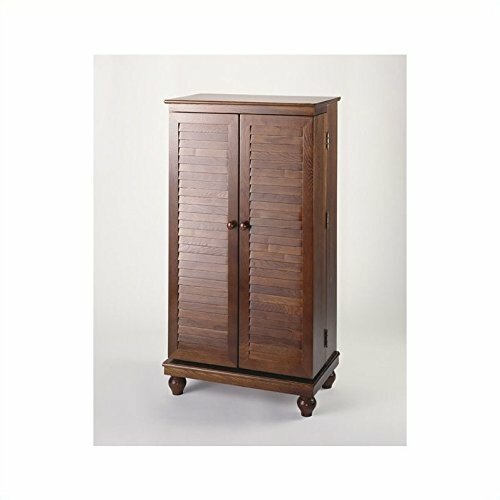 Solid Hardwood Mission Style Multimedia Storage Cabinet, with Louvered Doors. Holds 612 CDs or 298 DVDs. Includes 15 Adjustable Shelves made with Handcrafted Quality. Also Features Dovetail Joints on the doors. The classic design and high quality construction will compliment any décor while the 8 fully adjustable shelves allow for storing CD's, DVD's, VHS and Game Cartridges. The MS series of wall mountable, solid oak veneer sliding glass door mission storage cabinets are the handcrafted, elegant solution for the home, media room or office. Holds 350 CD's and 144 DVD's. Walnut finish. The M series of large capacity oak veneer mission style multimedia storage cabinets has the rare combination of timeless design and high quality construction. These furniture quality cabinets have 8 fully adjustable shelves allowing for storage of CD's, DVD's, Videocassettes and game cartridges. The inlaid glass doors allow you to view your collection while keeping it safe and dust free. Holds 477 CD's, 222 DVD's, or 122 VHS. Looking for more Door Mission Style Media Cabinet similar ideas? Try to explore these searches: Door Glass Channel, Scotts Cakes Pecan Cookies, and D&G Light Blue Body Cream.